Hi, I’m James Atkinson (“Jim” to my friends and readers). I’m a qualified fitness coach, competing bodybuilder and have a burning desire to help others reach their fitness goals. I have been training for nearly 20 years and this training has taken me from long distance running to bodybuilding competition. It is fair to say that I have learned the secrets of weight loss and fitness from my own personal journey. I have been fat, skinny and muscle bound throughout my fitness career and I really get fulfillment from helping and advising others when it comes to their goals. This book is all about the very well-known but little (correctly) practiced method of training known as “Supersets”. Be able to identify the workload that best suits your training goal. Effectively add supersets to your existing workouts. Use the method “full time”. Plan to use supersets to target your weaknesses. Be in a position to devise your own workout routine using this method. From my first year of resistance training, I knew of the superset concept, but it was many years later that I started to use it to good effect in my training and, later, my clients’ training, too. It was through my own exercise and learning that I was able to fashion this method into something that could be used in all types of workout. Add variety to your average training session. This book includes examples of full workout routines for different levels of fitness and different fitness goals. 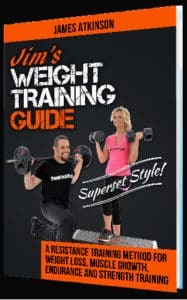 These can be followed directly from the book, but my main focus is to pass on my knowledge so you can adapt your training or tweak the featured routines to great effect. I will wish you good look and I’ll see you on the inside.